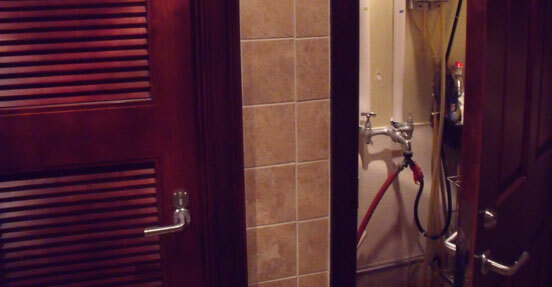 Locating restrooms in a separate area along with their own separate sinks provides privacy and luxury. ___ Secluded for privacy with convenience. 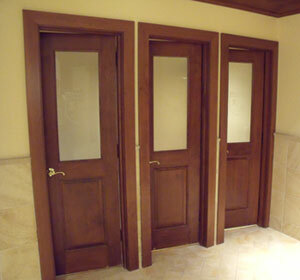 ___ Taller full size oval shaped commodes. ___ “Occupied” and “Unoccupied” door latch sign. 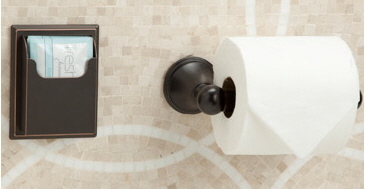 ___ Easy to reach quality tissue (dual holder) plus Freshends. 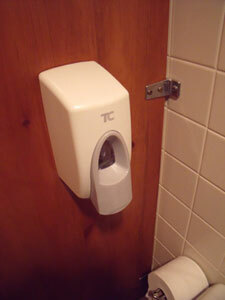 ___ Touchless automatic hand sanitizer. ___ Hook for a hat and hanger for a coat. ___ Magazine and newspaper holder. ___ Trash can with foot flip top. ___ Separate sink outside each water closet with shelf for amenities. 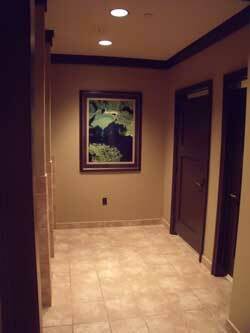 ___ Handicapped water closet with private sink and amenities. ___ Window in each water closet or in restroom area for fresh air. ___ Automatic air fresher or plug-in type. ___ Electrical outlet in each water closet or in restroom area. 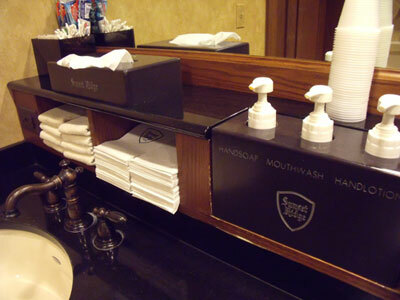 Separate sinks in the restroom area plus additional amenities at Sunset Ridge CC. Individually packaged Freshends provide additional cleanliness and are an inexpensive upgrade. Dispensers are included! Touchless automatic hand sanitizers in each stall are unique. 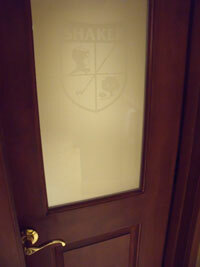 Water closets at Shaker Heights CC with club logo frosted glass inserts. 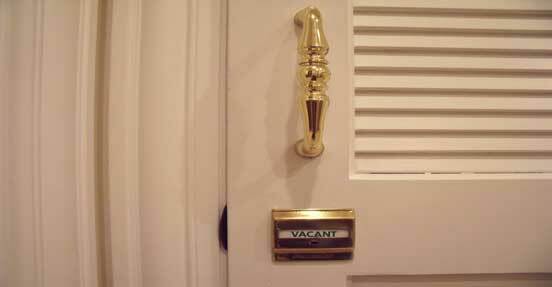 Vacant/occupied door latch sign prevents embarrassment. 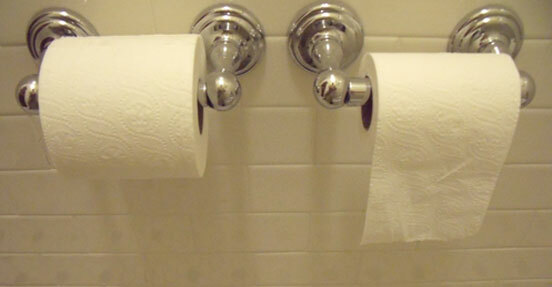 Dual rolls also need to be checked throughout the day. 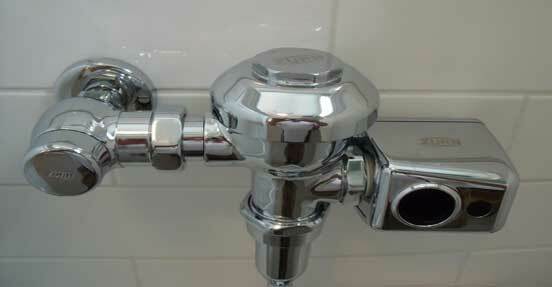 Auto flush for convenience and cleanliness. 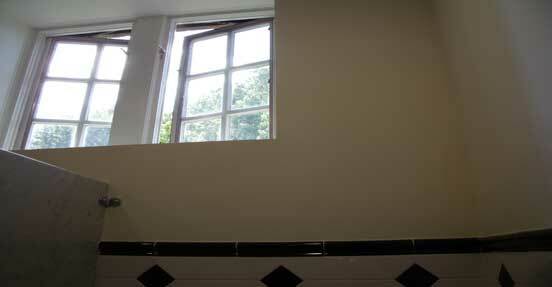 Bathroom windows provide fresh air! 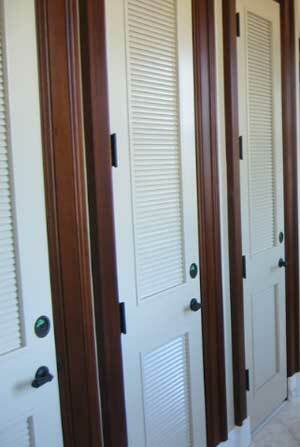 Housekeeping closet near bathroom and showers for efficiency.